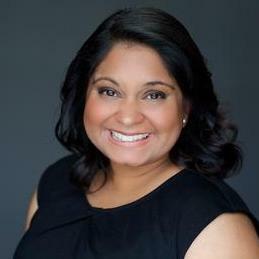 Mishty is a talented Dallas attorney who has worked extensively in the governmental, non-profit, and private sectors. She has a strong academic background as a President Scholar from SMU. During her studies, she focused on economics, international trade, corporate governance, geology, and alternative energy, giving her a excellent academic foundation. She also studied marine ecology and policy at the University of Copenhagen in Denmark. After graduating with dual degrees in economics & environmental science, Mishty pursued her law degree from the University of Texas. While at UT, she was an editorial board member for Texas International… read more Law Journal and for Texas Journal of Women & the Law. "Mishty helped me incorporate my DBA business. She understood why I was choosing to incorporate, offering her expertise and advice at a reasonable price. I was comfortable with Mishty so I did not have to worry about my lack on knowledge." "Ms. Deb and her lawfirm assisted my company with creating several legal contracts from start to finish. At each point of the engagement, she kept me informed in a timely and professional manner, and the contracts her firm created were useful to my business. She was tactful and observant, keeping the contracts pertinent to my industry. I would trust her and her firm with more business." Corporate Boards about options in active litigation, changes to governing documents, and good practices. Works with IP Counsel on IP/IP litigation matters. Serves as outside General Counsel.